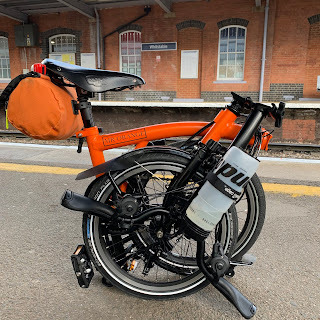 My Orange Brompton: Hellfire Caves, Mausoleums, Golden Balls, Red Kites and Ghosts! Hellfire Caves, Mausoleums, Golden Balls, Red Kites and Ghosts! Today we found ourselves away from London and in the Buckinghamshire countryside at West Wycombe. Situated in the heart of the Chilterns just off the A40, it made for a different day out. The area is dominated by a few landmarks. The Mausoleum and Golden Ball (part of Saint Lawrence Church) on West Wycombe Hill can be seen for miles around. The Mausoleum and Golden Ball to the right of the picture. We did take bikes with us but soon realised that the area was far too hilly for them. We therefore parked in the Garden Centre car park at the bottom of West Wycombe Hill and walked up. The walk up the hill provides some wonderful views of the Chiltern countryside. We were also treated to numerous sightings of Red Kites. These once endangered birds were reintroduced into the area a number of years ago and have since grown in number. They are quite a magnificent sight and we were able to get some close views as they soared overhead. As you go up the hill to your right you will see the grounds of West Wycombe Park and Dashwood House. It is regarded as one of the finest palladium houses in the country and is worth a visit in its own right. It has provided the backdrop for many films and dramas over the years. The Duchess, The Importance of Being Earnest, Cranford, Inspector Morse to name but a few. 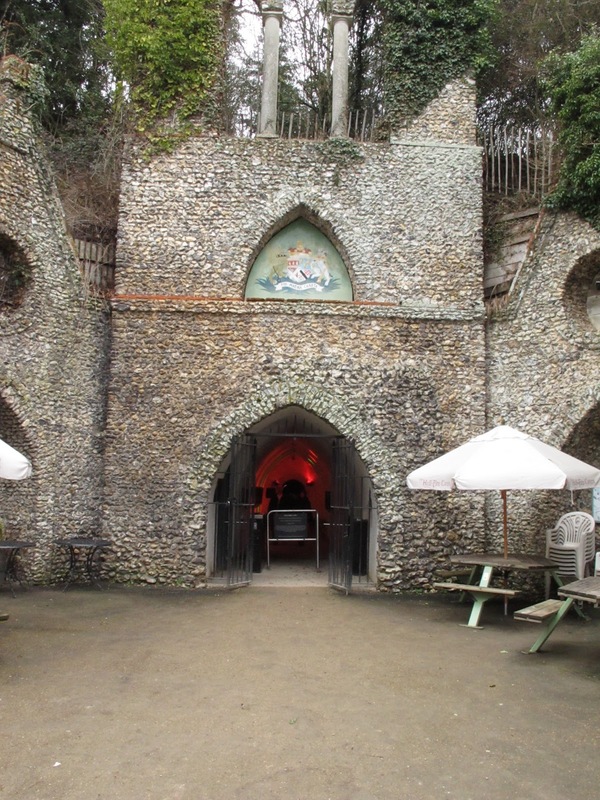 About halfway up the hill you will find a tearoom and the entrance to the, Hellfire Caves. The caves were originally constructed in the 1740's to help combat local poverty by providing work. Local farm workers were paid a shilling a day to tunnel and mine chalk and flint. This was then used to build houses in the village, the Church and the Mausoleum. The caves themselves are quite spooky and descend downwards. Lighting is minimal and there is defiantly an atmosphere. We were spooked a few times when we turned a corner and bumped into other visitors. Eventually you reach what is called the Inner Temple, were goodness only knows what went on! Our ticket cost £15 for a family of two adults and two children, which is pretty good as there is no time limit on how long you spend down there. Our children went from start to finish three times and loved it. Luckily we didn't encounter any of the ghosts that frequent this location. Paul Whitehead paid for his heart to be placed in the mausoleum when he died. In 1829 (I am sure you can guess this next bit) it was stolen. He is supposed to haunt the caves in search of his heart. Had I seen anyone I suspected to be Paul Whitehead I would have taken flight and made the swiftest of exits! If you are anywhere near West Wycombe, do give this location a go as we had a lovely time. Make sure you bring a good pair of walking boots or trainers as it was quite muddy when we went. Might also be worth bring a pair of binoculars for the almost guaranteed views of Red Kites.